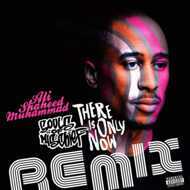 DJ/Producer Ali Shaheed Muhammad is a hip-hop icon. As one-third of legendary hip-hop group A Tribe Called Quest, his influence and impact on the musical landscape is still felt today. Last year, Muhammad received an invitation from Adrian Younge to work on fellow Golden Era legends Souls of Mischief’s There Is Only Now. He narrated the album, playing a DJ for fictional local Oakland radio station K-NOW, while providing background music to accompany the narration. The results were impressive enough to ignite a creative burst in the two producers that quickly produced an album’s worth of material in a matter of weeks. Muhammad shares his thoughts on Younge, “He’s such an easy person to work with, he has such vision when it comes to music. We really get each other, and that’s the other fun part of creating and finding a partner you’re on the same wavelength with."